Editor’s note: The following is an excerpt from Our Deportment by John H. Young, an etiquette manual published in 1882. Some of the social observances pertaining to visiting away from one’s own home, and accepting the hospitalities of friends, are here given and are applicable to ladies and gentlemen alike. No one should accept a general invitation for a prolonged visit. “Do come and spend some time with me” may be said with all earnestness and cordiality, but to give the invitation real meaning the date should be definitely fixed and the length of time stated. A person who pays a visit upon a general invitation need not be surprised if he finds himself as unwelcome as he is unexpected. His friends may be absent from home, or their house may be already full, or they may not have made arrangements for visitors. From these and other causes they may be greatly inconvenienced by an unexpected arrival. It would be well if people would abstain altogether from this custom of giving general invitations, which really means nothing, and be scrupulous to invite their desired guests at a stated time and for a given period. 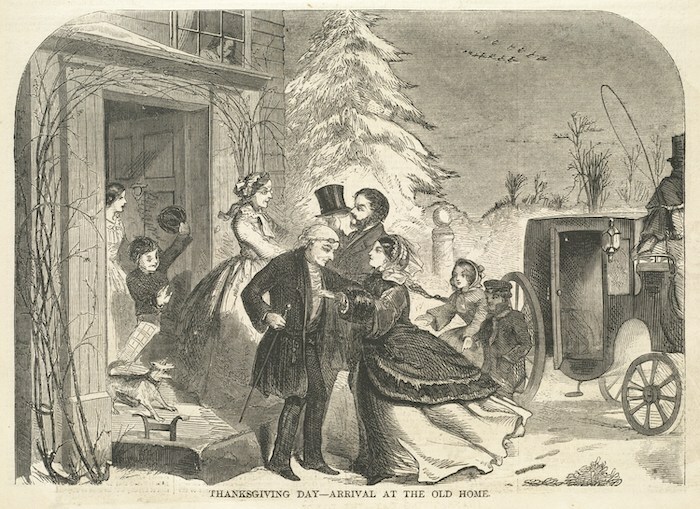 If no exact length of time is specified, it is well for visitors to limit a visit to three days or a week, according to the degree of intimacy they may have with the family, or the distance they have come to pay the visit, announcing this limitation soon after arrival, so that the host and the hostess may invite a prolongation of the stay if they desire it, or so that they can make their arrangements in accordance. One never likes to ask of a guest, “How long do you intend to remain?” yet it is often most desirable to know. Offer your guests the best that you have in the way of food and rooms, and express no regrets, and make no excuses that you have nothing better to give them. Try to make your guests feel at home; and do this, not by urging them in empty words to do so, but by making their stay as pleasant as possible, at the same time being careful to put out of sight any trifling trouble or inconvenience they may cause you. Devote as much time as is consistent with other engagements to the amusement and entertainment of your guests. On the other hand, the visitor should try to conform as much as possible to the habits of the house which temporarily shelters him. He should never object to the hours at which meals are served, nor should he ever allow the family to be kept waiting on his account. It is a good rule for a visitor to retire to his own apartment in the morning, or at least seek out some occupation or amusement of his own, without seeming to need the assistance or attention of host or hostess; for it is undeniable that these have certain duties which must be attended to at this portion of the day, in order to leave the balance of the time free for the entertainment of their guests. If any family matters of a private or unpleasant nature come to the knowledge of the guest during his stay, he must seem both blind and deaf, and never refer to them unless the parties interested speak of them first. The rule on which a host and hostess should act is to make their guests as much at ease as possible; that on which a visitor should act is to interfere as little as possible with the ordinary routine of the house. On the other hand, it shows the worst of breeding for a visitor to seclude himself from the family and seek his own amusements and occupations regardless of their desire to join in them or entertain him. You should try to hold yourself at the disposal of those whom you are visiting. If they propose to you to ride, to drive or walk, you should acquiesce as far as your strength will permit, and do your best to seem pleased at the efforts made to entertain you. If you have observed anything to the disadvantage of your friends, while partaking of their hospitality, it never should be mentioned, either while you are under their roof or afterwards. Speak only of what redounds to their praise and credit. This feeling ought to be mutual between host and guest. Whatever good is observed in either may be commented upon, but the curtain of silence must be drawn over their faults. Give as little trouble as possible when a guest, but at the same time never think of apologizing for any little additional trouble which your visit may occasion. It would imply that you thought your friends incapable of entertaining you without some inconvenience to themselves. Keep your room as neat as possible, and leave no articles of dress or toilet around. A guest should not notice nor find fault with the bad behavior of the children in the household where visiting, and should put up with any of their faults, and overlook any ill-bred or disagreeable actions on their part. If you are a guest, you must be very cautious as to the treatment of the friends of your host or hostess. If you do not care to be intimate with them, you must be careful not to show a dislike for them, or that you wish to avoid them. You must be exceedingly polite and agreeable to them, avoiding any special familiarity, and keep them at a distance without hurting their feelings. Do not say to your host or hostess that you do not like any of their friends. Upon taking leave, express the pleasure you have experienced in your visit. Upon returning home it is an act of courtesy to write and inform your friends of your safe arrival, at the same time repeating your thanks. A host and hostess should do all they can to make the visit of a friend agreeable; they should urge him to stay as long as it is consistent with his own plans, and at the same time convenient to themselves. But when the time for departure has been fully fixed upon, no obstacles should be placed in the way of leave-taking. Help him in every possible way to depart, at the same time giving him a cordial invitation to renew the visit at some future period. “Welcome the coming, speed the parting, guest,” expresses the true spirit of hospitality.